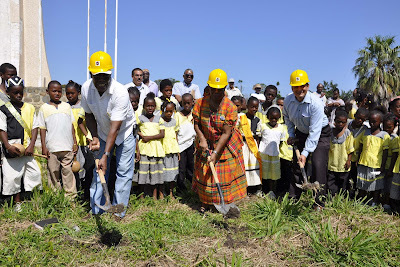 A new school building project that will alleviate the overcrowded situation at the Gulisi Primary School was officially launched on Wednesday morning, November 17th at the school compound near the Garifuna Monument site in Dangriga Town. The project will benefit over 140 students and will be implemented by the Social Investment Fund. It will be financed by the Government of Belize at a total cost of $415,000.00 through the Commonwealth Debt Initiative (CDI). The project scope includes the construction of a one storey reinforced-concrete building measuring 121 feet long by 30 ft wide with a 6 ft verandah. The building will include four classrooms (24 ft by 25 ft) with two movable partitions and a male and female bathroom block. 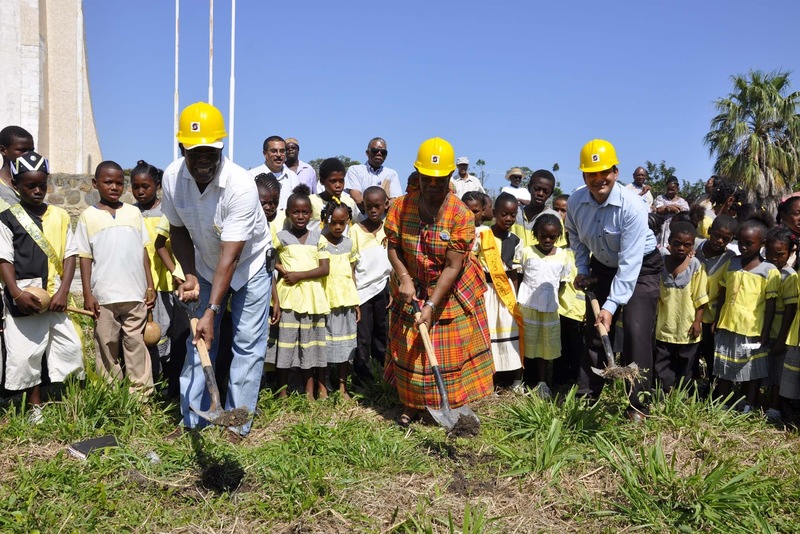 The building’s foundation will be designed to accommodate future expansion and the new school will be able to withstand up to category 5 hurricane winds as well as earthquakes and therefore will also serve as a shelter in the event of an emergency. All doors will be of solid timber and aluminum storm guard windows will be installed. Provisions for the installation of electricity, water supply, and waste water systems will also be made while the community of Dangriga will provide the furniture and labor as part of their contribution. The Gulisi Community Primary School, which is managed by a Board of Directors in collaboration with the National Garifuna Council, came about as a result of the overcrowding of other elementary schools and the distance of the growing and expansion of residential areas and population growth in Dangriga Town. The Primary School is located some 1 1/2 miles north of Dangriga Town at the Garifuna Monument Site and Museum. But the Gulisi Primary School has also overgrown its space due to a rapid growth in student population. 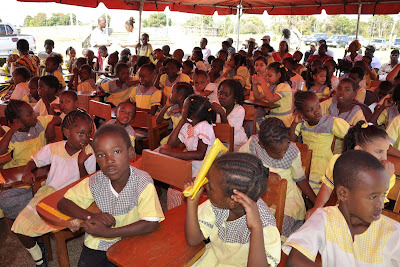 Established in April 2007, the school has students up to standard 3 but classroom space is needed for the upcoming standard 4, and in the near future for standards 5 and 6. Due to the overcrowded situation, the upcoming standard 4 students will have to be accommodated in the Museum for the new school year. 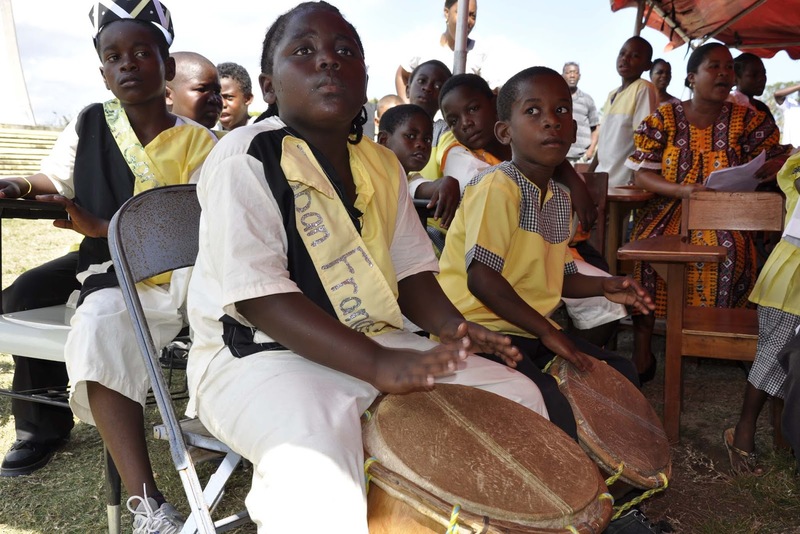 The school is presently using a room from the Garifuna Museum to house the standard 3 students. 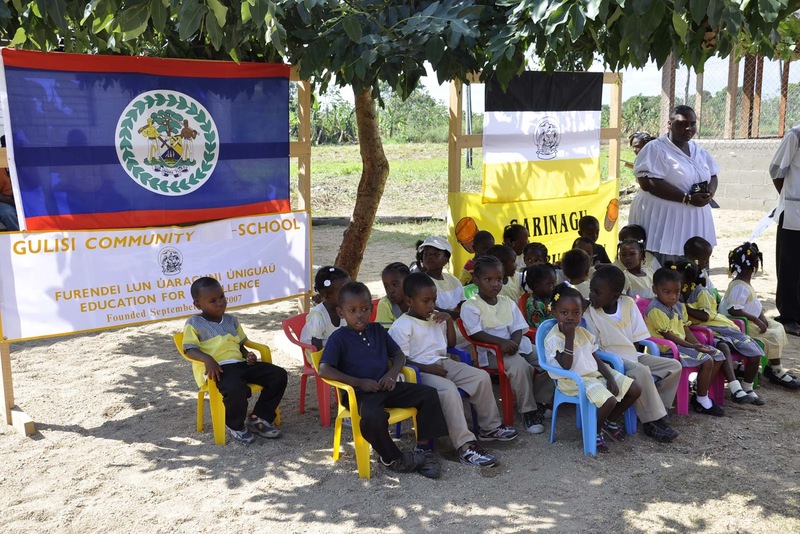 The Gulisi Community Primary School also operates a pre-school, which is housed in a rented building adjacent to the main school building. The Gulisi Community Primary School is very unique among other schools in Belize and the Caribbean in that it is the only school that teaches three languages – English, Spanish and Garifuna - as part of its curriculum. The keynote speaker at the official launching of the project was the Hon. 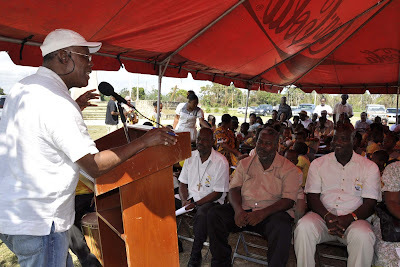 Arthur Roches, Minister of State in the Ministry of Health and Area Representative for Dangriga. 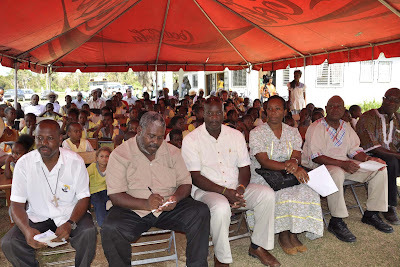 Addresses were also delivered by Mr. Aaron Gongora, Mayor of Dangriga, and officials of the Social Investment Fund and members of the Gulisi School Management and P.T.A. Linda this is great information. Thanks for posting it and keeping us informed. 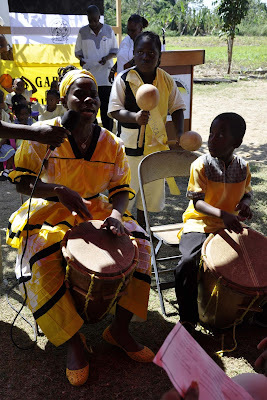 This is a great accomplishment to preservation of the Garifuna language and culture. TOMORROW IS BLACK FRIDAY: ARE YOU READY?